Kansas City attorney Bev Randles has conceded in the Republican race for Lt. Governor. 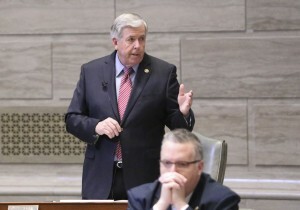 Bolivar Senator Mike Parson will face Democrat and former Congressman Russ Carnahan of St. Louis in November’s general election. Carnahan overwhelmingly defeated St. Louis Rep. Tommie Pierson and Winston Apple in Tuesday’s primary. Parson says the tone of politics must change and voters want somebody they can trust. He says he’ll stick to the issues during his race.